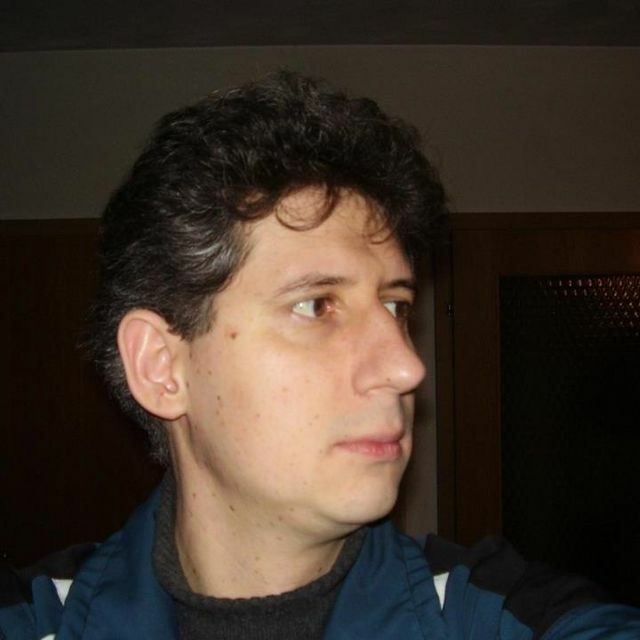 My name is Srdjan Ilic, I'm male and 43 Years old. My Sign of Zodiac is aquarius. I live in Niš, Serbia. On Flirtic.com I've been registered for 15.12.2012 years. My education is college degree (e.g. ba). I speak serbian, english. My mother tongue is serbian. I have no kids. I like to listen to Elvis Presley, Happy Mondays, Whitney Houston, Queen, Van Gogh, Chris De Burgh, Lenny Kravitz, Nelly Furtado, Beyoncé, Max Raabe & Palast Orchester, David Guetta, Adele, Loreen, Amy Winehouse, Galija, Zabranjeno Pušenje, Kaliopi, Kylie Minogue, Andreea Bălan, Alexandra Stan, Robbie Williams, Joe Cocker, Elton John, Smak, Željko Joksimović, Toni Braxton, Jennifer Lopez, Mariah Carey, HIM, Dido, Jon Bon Jovi, Bon Jovi, Michael Bublé, Lady Gaga, Metallica, Rihanna, Karolina Gočeva, Guns N' Roses, U2, Ricky Martin, Shakira, Seka Aleksic, Toma Zdravkovic, Miley Cyrus, Pink Floyd, Céline Dion, Red Hot Chili Peppers, Immediate Music, JoJo, Josipa Lisac, The Rolling Stones, The Beatles, The Stone Roses, Antonia, Kerber, Sergej Ćetković, Il Divo, Vlado Georgiev, Haris Dzinovic, Hornsman Coyote, Anouk, Nick Cave & The Bad Seeds, Trina, Julian Lennon, Nathaniel David Becker, Quicksound, HORIA BRENCIU, Burt Bacharach, Eyot, Mia, Soul II Soul, Haustor, Ekatarina Velika, Toše Proeski, Zdravko Čolić, Goca Bozin.